You are the current highest bidder! To be sure to win, come back on 07 Feb 2018 09:58 PST (17:58 GMT) Date Format as the lot closes or increase your max bid. 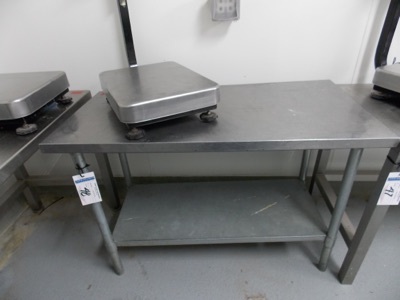 Stainless Table top | Stainless steel table top, 48"x24"x32"H | MODEL# | SERIAL# | * Skidding and load out at market rate will be charged at your convenience.